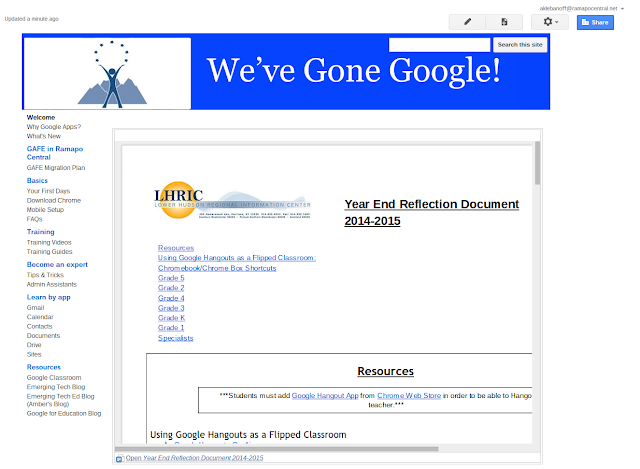 The past two days at RP Connor and Cherry Lane have been filled with interesting and new topics including Using Google Sites more efficiently, printing pictures from Google Drive using Template to Print Pictures, and Using Google Hangouts as a Classroom Tool. 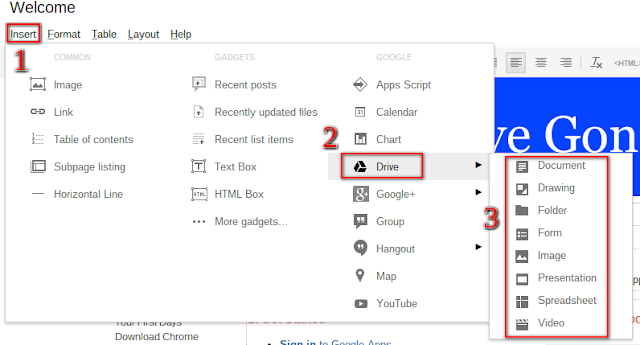 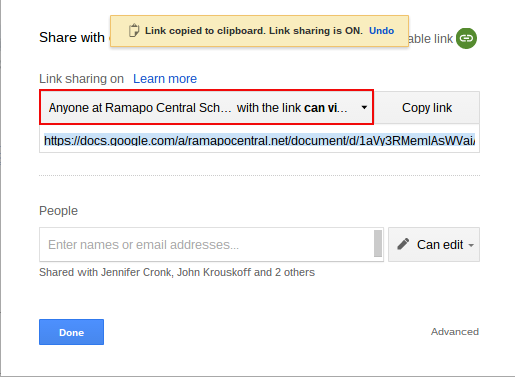 One of the most useful aspects of Google sites, is the ability to embed Google Drive files directly in the page. 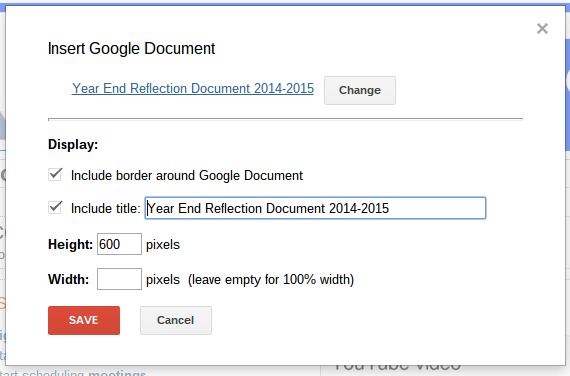 This makes the page look cleaner and allows you to live in your Docs, not your Site. 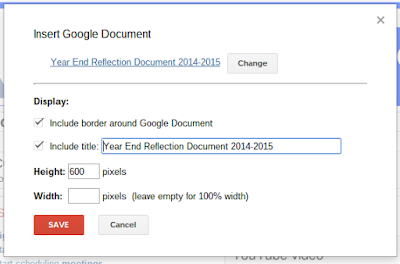 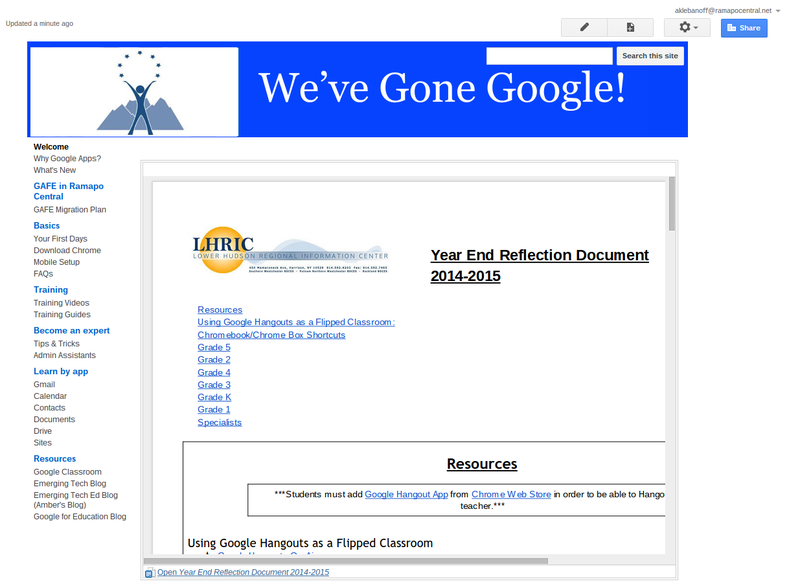 Now you will see your Google Document live on the Google Site Page. 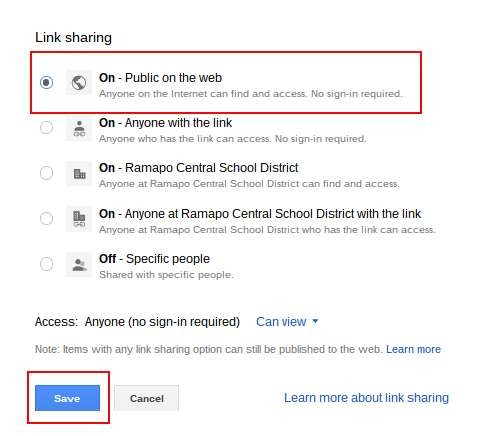 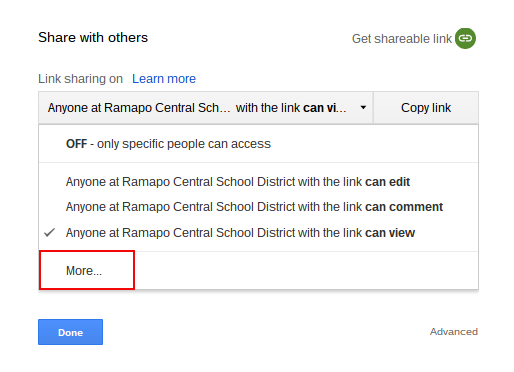 When sharing a Google Drive File on your Google site you must Share the document to allow it to be viewed to all as Public on the Web.